You wish to visit Slovakia but none of the tours suit your taste? Let us prepare a custom tour! Whether you are interested in sports, geology, study or culture, we can save you a lot of run-around aggravation. Did you know that Slovakia offers world-class skiing, agro tourism and rock climbing attractions? Lovers of winter sports will be dazzled by the High and Low Tatras, a mountain range with many unique formations. Rock climbers have options for many types of experience with several examples of still unconquered peaks. Do you like nature, hiking, climbing? Would you like to rent a small cottage near a lake or spa resort and enjoy exquisite surroundings without sacrificing your privacy? Than don't look any further. 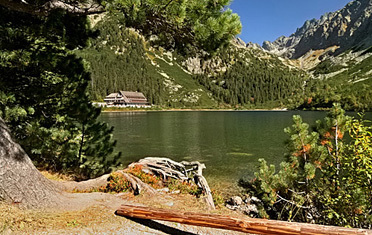 We can provide a cottage for your taste also in the popular national park named the Slovak Paradise.